Apologies for the long hiatus in our newsletter! Much has happened since we’ve been away. We can’t catch up on all the news, but we include a selection of top stories here and promise to return to you with a regular, more timely schedule of newsletters in the coming weeks. Nominations recently closed for the all-important expert committee that will review the science for the next guidelines. We are hoping that USDA-HHS will select nominees who will push for evidence-based guidelines. Some good news: USDA-HHS has said that “low-carb” diets and “saturated fats” will be among the topics selected for review. You, members of The Nutrition Coalition, helped make that happen! The bad news: USDA-HHS dismissed most of the ideas suggested by the National Academies of Sciences, Engineering and Medicine (in the first-ever outside peer-review of the Guidelines) on how to improve transparency and manage bias on the Dietary Guidelines' expert committee. That’s a shame. Read our post on it here. Dr. David Kessler, the former FDA Commissioner, takes on food pundit Marion Nestle about what we really know about healthful eating: "I think we have failed in giving nutritional advice to people. If diet & exercise were the answer, we'd all do it & there wouldn't be a problem...I would try to get answers to very basic questions...Is a calorie a calorie?" One of the world's leading oncologists, Dr. Siddhartha Mukherjee of Columbia University Medical Center (and of The Emperor of All Maladies fame), is set to launch a human trial of ketogenic diet therapy as an accompaniment to drug therapy in specific types of cancer treatments. Recent mouse studies demonstrate the efficacy of administering ketogenic diets—which lower insulin levels—while treating some types of cancer. Scientific American asks, does ingesting artificial sweeteners cause us to eat more? The FDA on the new “added sugar” designation on Nutrition Facts Labels… The question of whether honey and maple syrup should count as “added sugars” led to the great maple syrup fiasco... and is why the FDA has gone back to the drawing board on this issue. DIET WARS: DO LOW-CARB DIETS SHORTEN LIFE? A Wall Street Journal op-ed by Nina Teicholz (behind a paywall). A long piece in Medscape by Nina Teicholz and Dr. Fabiano Sefarty (free but registration required). A post in Psychology Today by Dr. Georgia Ede. A blog post on the limits of epidemiology by Dr. Chris Kresser. Problems with sugar start early and get worse. According to reports on a new CDC study, American toddlers build up to 7 teaspoons of added sugar per day by age 2. "High amounts of added sugar can be hidden in seemingly healthy food: a single-size serving of yogurt with fruit at the bottom can contain up to 6 teaspoons of sugar. In a regular 8-ounce serving of apple or orange juice, there are 5.5 teaspoons of sugar, on average." Cancer is linked to nutrition as well (of course): A CDC report says that obesity accounts for 40% of all cancer cases in the US. Obesity is a bigger problem in rural America, according to a report in the Journal of the American Medical Association. And remember, according to a recent report by the CDC, rates of exercise have been increasing…just to remind you that you can’t exercise your way out of a bad diet. 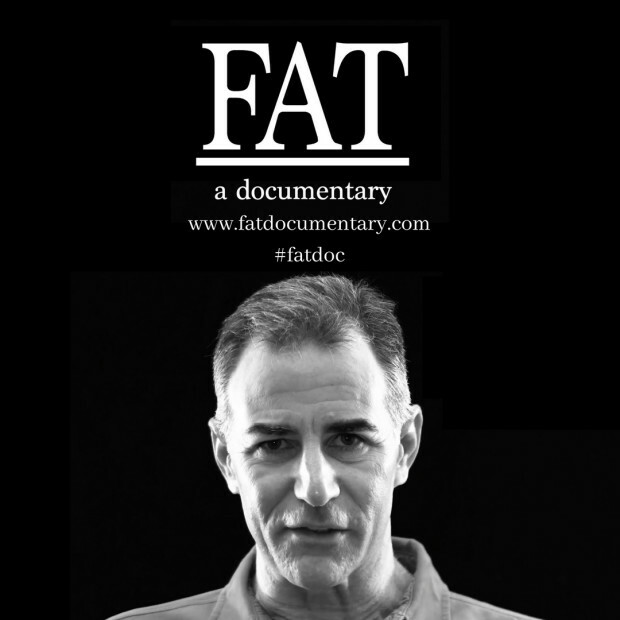 Or just skip reading all of the above and watch the trailer to a new film, Fat: A Documentary. The Washington Times ran an op-ed entitled "Carbohydrates are Killing Us" by cardiologist Eric Thorn. He writes, "Many doctors, myself included, have seen with our own eyes how low-carb diets help patients lose weight, reverse their diabetes and improve their cholesterol." Another cardiologist writes, “Want a Healthier Heart? Eat a Steak,” in an op-ed for the Houston Chronicle. California mayor, Sean Wright, is sharing his success with a keto diet for weight loss, reversing prediabetes, and resolving fatty liver. He invites fellow residents of Antioch to learn more and join him in a journey to better health. Pittsburgh area politician, John Fetterman, loses ~150 pounds by cutting out sugar/grains and walking more. Will this mayor and Democratic nominee for LT Governor help bring the message of reducing sugar and starch for better health to the people of Pennsylvania? In the UK, Deputy Labor Leader Tom Watson, lost 96 pounds in eleven months by cutting out sugar and starch and eating more fat, as featured on the BBC. Watson asks (rightfully, we’d say) if government should be giving dietary advice when there is such scientific controversy surrounding nutrition. 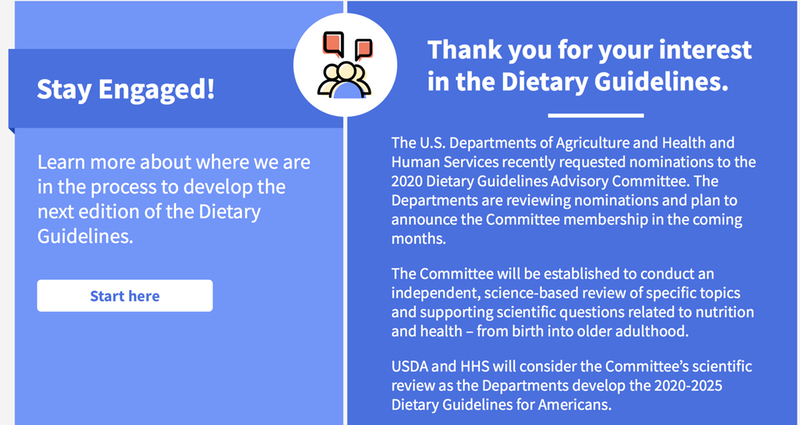 We need your support for our work toward evidence-based Dietary Guidelines--to make America healthy again. Copyright © 2018 The Nutrition Coalition, All rights reserved.